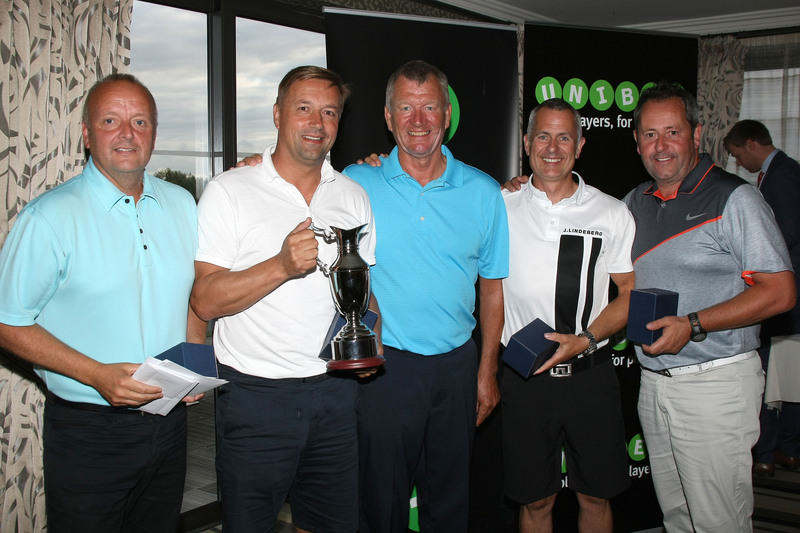 The Nottingham forest Corporate Golf day 2015 has been hailed a huge success for yet another year. The event, which took place at Nottinghamshire Golf and Country club, saw 23 teams assemble away from The City Ground in a bid to win the Claret jug. Challenge Trophies are proud to announce we were an official sponsor for the event. We were lucky enough to provide the Claret jug, along with other Golf Trophies – which were a hit with the winners! The event was attended by Nottingham Forest’s own Collin Barrett and Kenny Burns, along with Nigel Jemson, the 1990 league cup winning goal scorer. After battling it out in Stableford format, the competition was won by Jemson’s Alea Casinos team (87points). The team won a variety of prizes, including a box at Windsor Racecourse, a meal for eight, and of course, the Claret jug supplied by us at Challenge Trophies. We look forward to next year, where we hope to continue this partnership!